What is the Hilltop Pop-Up: The Hilltop Pop-Up Market is a public market and community event! Featuring handmade goods, artworks, food, and live performance. Who: The Hilltop Pop-Up is a platform for the neighborhood. The Hilltop Pop-Up does this with support from Hilltop’s independent artists, microbusinesses, and minority voices. If you’re a member of the community or rooted in the Hilltop, sign up to find out how you can be involved, set up a booth, perform or volunteer. 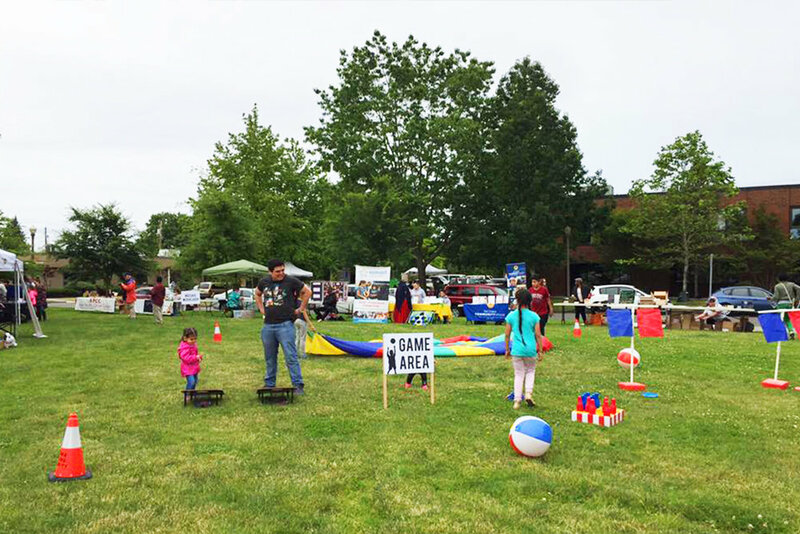 When and Where: You can plan on third Sunday mornings at 10am, starting May 19 at People’s Park, then June 16, and July 21. Sign up to be a vendor, or a performer, or to stay up to date with the latest news. How do I participate? You’re in the right place! If you want to set up a table as a vendor, please fill out this vendor application so we can collect your name, your contact, and a few pieces of info. We’ll be in touch with you. Special thanks to all of the vendors and residents for coming through! Lots of love from the community for the event this year. We are looking to continue this partnership with Centro Latino and with Urban Market into 2019, with a series of markets throughout the summer. If you’d like to be in the loop and are interested in forming a committee to bring more business, more art, more love to next year’s Hilltop markets please contact and get in touch with the form on the top menu! Photographer TDD (Two Drs Dwn) has produced a video and photo recap from this past sale, enjoy! The Hilltop Street Sale brought over 35 local vendors to Hilltop for a one day block party. The sale was well attended and proved to be a successful demonstration of how a street market could function in the Hilltop neighborhood. A similar market called "Urban Market" has recently begun happening in the parking lot of Shiloh Baptist Church on 12th & I street the first Sunday of each month (July-October). We encourage community members to check out their sale. More info on Urban Market here. 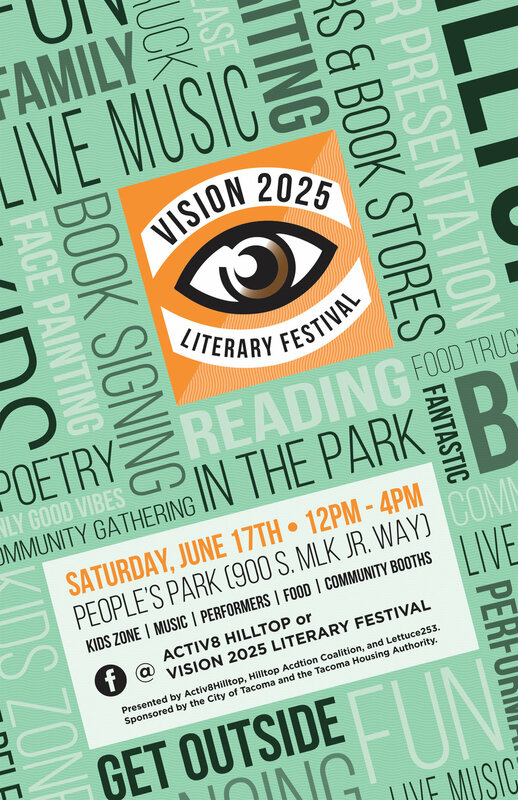 Vision 2025 was a family-focused literary festival that happened in People's Park. The event featured spoken word poetry, puppet shows, collaborative games, traditional dancing and a Latin food tasting.